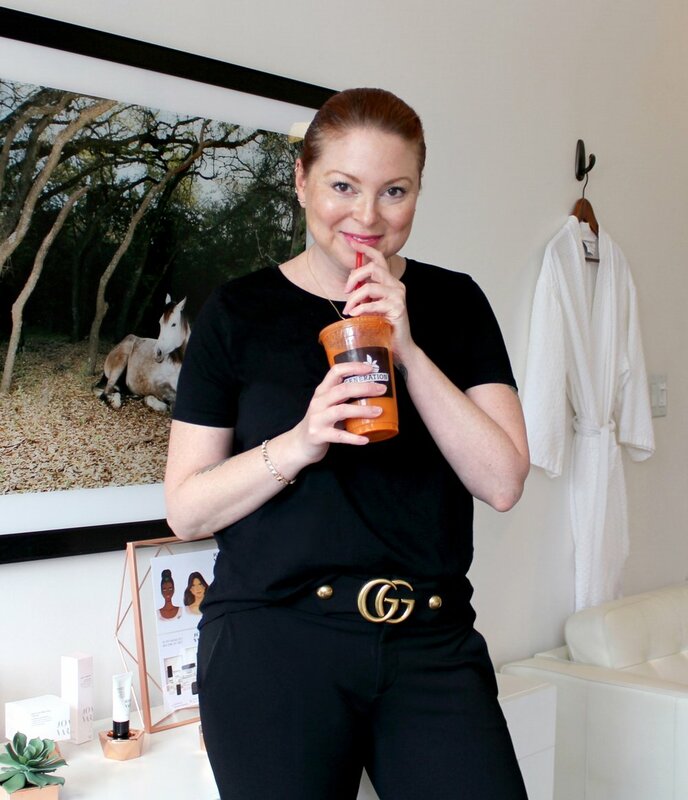 "I wake up and spend a half hour reading through the beauty news of the day, articles I bookmarked, and emails I may have gotten in the middle of the night. Beauty wise, my morning ritual is dry brushing my whole body before getting into the shower. It's invigorating and makes my skin so soft! My favorite juice that I drink absolutely without fail every day is the Daily Detox from Juice Generation. I usually don’t eat breakfast and I have that in the morning. It’s great for my skin and when I am on my program and doing it every day, clients comment on my skin. Daily Detox has carrot for energy, cucumber for detoxing and for hydrating, apple, lemon and ginger. Green juices are automatically very depuffing, oxygenating and antioxidants so they help strengthen the skin, strengthen the capillary walls and they help hydrate from the inside out."